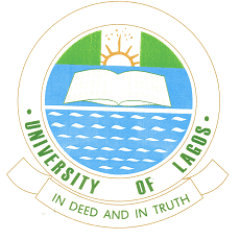 University of Lagos Consultancy Services (UNILAG Consult) and International Academy of Forensics (IAF) in collaboration with the International Institute of Certified Forensic Investigation Professionals (IICFIP), USA offer specialised Professional Training Programme (Diploma/Advanced Diploma) in Forensic Investigation and Criminal Intelligence. Aim: Every investigation requires a unique roadmap. Thus, the aim of the programme is to train and equip participants with sound knowledge and deep understanding of a broad range of advances in Forensic Investigation, Criminal Intelligence, and Administration of Criminal Justice. The Programme is designed to deliver a strong and credible groundwork that emphasises the practical aspects of scientific detection, investigation, prevention and control of crimes and criminal activities. It deals with crime allegations from inception to resolution, including obtaining indisputable evidence, interviewing and interrogation, presenting expert reports, evidence and testifying at trials. The programme will raise participants’ level of critical thinking, curiosity and intellectual ability in crime detection, investigation, prevention and control. Its successful completion will provide the trainees with the requisite practitioner-based skills, understanding, and knowledge to effectively work and enhance their expertise in forensics, surveillance and intelligence gathering settings. The programme also facilitates direct certification in IICFIP. Forensic Practitioners; Military, Para-military, Crime Investigation, & Intelligence Officers. Law Enforcement Officers: Police, Custom, Immigration, & Correctional Officers, Civil Defence Corps, and other Security Officers. Economic and Financial Crime Investigators; Fraud Examiners, Due Diligence and Compliance Officers; Auditors; Tax Fraud Examiners, Inspectors / Practitioners, and Consultants. Government Officials; Business Executives, Finance Officers, Managers, and Investors. Lawyers / Legal & Para-Legal Officers; Psychologists; Investigative Journalists / Reporters. Researchers / Academics; Educationists / Counsellors; Human Resource Practitioners; Community & Religious Leaders. Holders of relevant professional qualifications from recognised professional bodies. Holders of university degrees / HND from recognised institutions. Any other persons in management cadre / senior officers: Minimum of ten years work experience; Age not below thirty years; and Five ordinary level credit passes in any subjects (English language and Mathematics inclusive). Holders of GCE Advanced Level, OND, NCE, Diploma or any other certificate from recognised higher institutions: Minimum of five years work experience; Age not below twenty-five years; and five ordinary level credit passes (English language and Mathematics inclusive). Application Fee: ₦10,000, obtainable at 2nd Floor, Unilag Consult Building. On completion of the Training, Professional Diploma / Advanced Diploma Certificate will be jointly awarded by the UNILAG Consult and International Academy of Forensics (IAF) to successful participants; while IICFIP will award (optional) Certified Forensic Investigation Professional (CFIP) Certificate.